Dr. Moodley can trace his roots in Marion back to 1979 when he attended Harding High School as an exchange student. His fondness for Ohio and the Marion area led him to pursue both his undergraduate and medical degrees at The Ohio State University. Following graduation, he completed his internship and residency at The University of Texas Medical Branch. 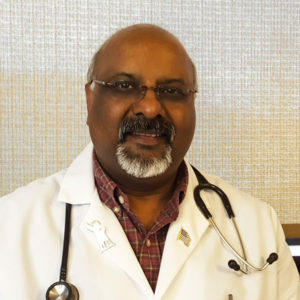 Board certified in obstetrics and gynecology, Dr. Moodley also is a fellow of the American College of Obstetricians and Gynecologists (FACOG).